the bridge house. | owl's house london. The Bridge House was another of the homes designed by modernist architect and writer Robin Boyd (see previous post, here), and it has just been extensively renovated. It is a little difficult to see what remains of the original home, designed in 1953, but the renovation is progressive and contemporary, rather than simply a pastiche. It is interesting to compare this home with the Walsh Street one, which remains unchanged since the ’50s. The house’s unusual shape is a masterclass in designing according to context: two elliptical steel trusses straddle an old river bed, easement and dramatically sloping site. The resulting longitudinal window walls create a wedge-shaped plan and maximise internal views of the site’s established trees. 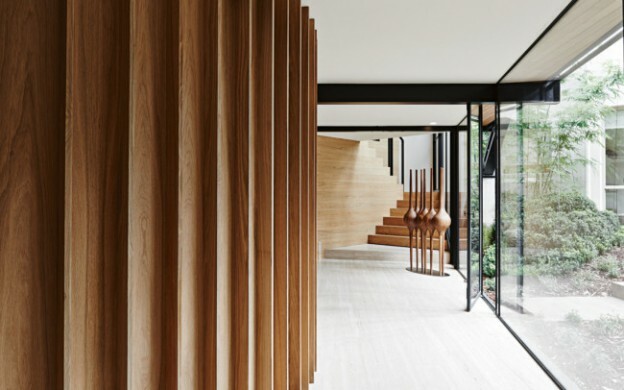 A timber and steel bridge connect street level to the mid level entry point of the house. 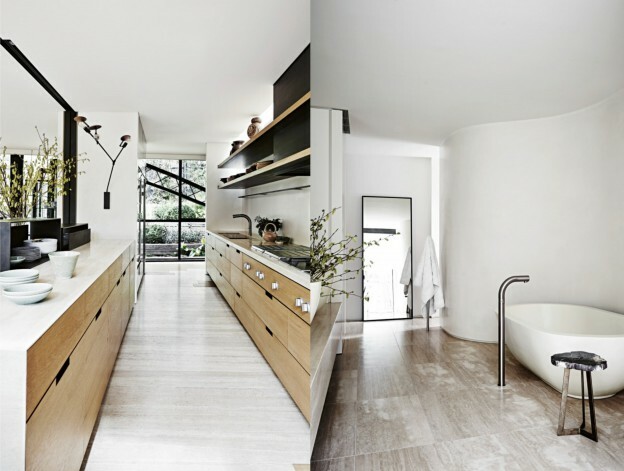 The interior is luxe and rich – floors are pale oak and travertine, a circular, ridged oak insertion holds a wine cellar. Walls are kept white, offsetting the black highlights and black metal windows that so beautifully frame the outdoor green. Which do you prefer? I’d happily settle for either. This entry was posted in wonderful spaces. 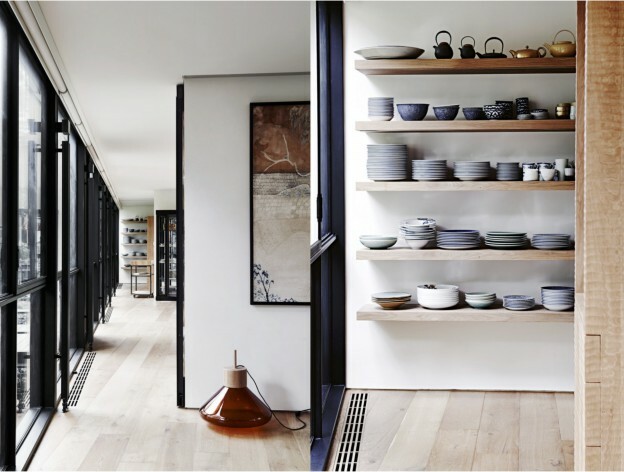 and tagged architecture, Modernism, Robin Boyd on February 26, 2015 by owls house london..
Love the flooring choices. A very good update, of which really the word timeless is quickest to mind.